Bad cowboys wear black hats, good cowboys wear white hats. Oh, how sweet it is to apply stereotypes and cliches. Storytelling is part of the culture and when we muse about differences between Western style narration and Eastern style narration, no one wrinkles their nose and wonder what are we talking about. 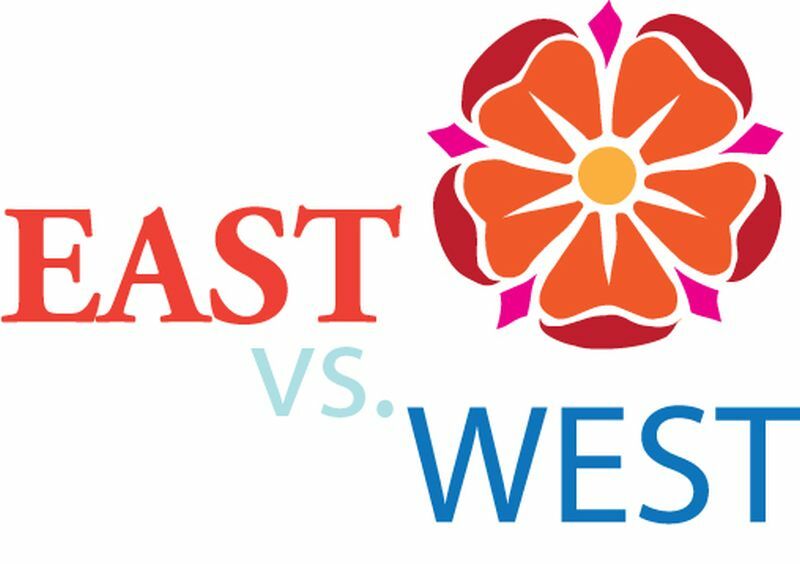 East and West are different, right? Different history, culture, values, so of course the way we enjoy our games, comics, cartoons, stories will differ. Heck, we even call them different names! In the West it’s a comic, in the East it’s – manga. In the West it’s cartoon, in the East it’s – anime. In the West it’s a RPG, in the East it’s – jRPG. Then there is Visual Novels, as opposed all other sorts of narrative-based games the West produced. Go ahead, I dare you. Search ‘visual novel’ and see if you can find any which is not sporting Japanese-style (anime/manga) visuals, even if made in the West. Many have tried to point out and explain the differences. Appeal of good vs evil as exemplified by Western love for superhero vs supervillain stories seems to differ from Eastern stories in which sometimes there simply are no villains (Princess Mononoke, anyone?). Western consumers will often ‘WTF? !’ at events going on in Eastern stories, while they in turn would say ‘NANI? !’ to washed out storytelling of mainstream media of the West, trying to increasingly implement Eastern narrative strategies. So let’s see what kind of life storytelling games had in the West. Maybe it will surprise you to learn that history of interactive stories and story-driven games is slightly older in the West than it is in the East. After all, Visual Novels were born as a genre in the early 1990s, from early text games of the 1980s, while branching fiction was introduced in the West through Choose Your Own Adventure books mid 1970s. Earliest interactive fiction in the West originates from 1976. While Visual Novels became nearly codified genre right away, Western world experienced several branching genres. Namely, from the early text adventures and after success of CYOA books, graphical adventure games paved way to narrative-based gaming. Here’s a very interesting and highly indicative trivia piece. It was adventure game, Myst, that helped mainstream of CD-ROM drives, as it was insanely popular, sending floppy disks to history (it’s ok if you are too young to remember those cute little 5.25” disks or particularly funny 3.5” disks which are sort of immortalized as ‘save’ icon. However, with technological advancement, Western gaming soon abandoned story-based games and hopped on FPS bandwagon. Adventures as genre enjoyed their sunset come early 2000s with only few European studios releasing gems of narrative fiction. Hidden object games took where the point-and-click adventures ground to halt. They were puzzle heavy, but very much driven by narration and dialogues. Another branch was gamebooks. They played like tabletop roleplaying games meant for a single player. They went from rules-heavy books for to quite interesting digital format. Environmental narrative games combined technology and desire to tell stories (often dubbed ‘walking simulators’) producing such gems like Firewatch, The Stanley Parable, Dear Esther, What Remains of Edith Finch and of course, catalogue of Telltale Games, which focused on choices (The Walking Dead, Wolf Among Us, Tales from the Borderlands, etc). The entire genre survived only thanks to indies and amateurs, which carried the torch till storytelling in games became all the rage again with era of gaming on mobile phones and tablets. Episode, with it’s 73.000 stories and franchised games Demi Lovato: Path to Fame, Mean Girls: Sorority Rush and Pretty Little Liars has taken the interactive fiction back. There, there, don’t curl your lips. Episode stories are light and narrow in their niche, but mobile-based storytelling games are doing great in every genre nowadays, thanks to Episode’s success. In order to explain the genre, many started adopting Visual Novel as blanket term for all the games based on interactive narration. So while in the West, narrative games branched out in many different formats, in the East something slightly different happened. Visual Novels remained the same, at one hand, and they infiltrated the other genres at the other hand. So, pureblood Visual Novels remained the same, codified. However, they also blended with RPGs, tactical team based games, dating simulators and other games. Another interesting shift happened. Western world embraced the codices of Visual Novels and then moved the limits of the genre. With games such is Juniper’s Knot, VA-11 HALL-A, Emily is Away, Long Live the Queen, Don’t Take It Personally, Babe, It Just Ain’t Your Story and of course Doki Doki Literature Club it’s clear that while Eastern influences are invigorating Western movies and games, West has in case of Visual Novels act as the refreshing influence. Breaking away from format codified by demand of loyal fans in Japan, Western stories are opening new venues for storytelling. That’s why CloudNovel is the best tool to make your narrative-based interactive fiction. We don’t offer codified solutions, nor limit your imagination in any way. We present you true zero-coding experience. With more powerful features added every month, CloudNovel let’s you build any kind of game you want. From puzzlers, adventures, dress-up games, visual novels, choose your own adventure gamebooks, we just care to offer you a perfect tool. Writing a perfect story, of course, is up to you! Previous: Previous post: What is Visual Novel’s Gameplay? Next: Next post: What are Dress-up Games?